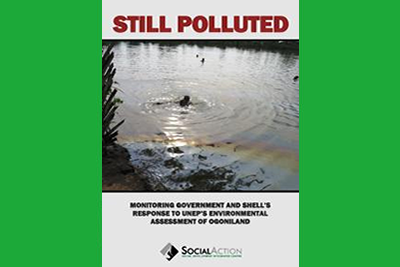 The Social Action has today released a new report, STILL POLLUTED: Monitoring Government and Shell’s Response to UNEP’s Environmental Assessment of Ogoniland. 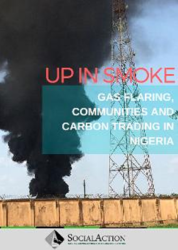 The report is a product of two years monitoring of the effort of the Nigerian government and oil companies to address the remediation of the environmentally-devastated Ogoniland through the implementation of the concrete recommendations in the report by the United Nations Environmental Programme (UNEP). The federal government of Nigeria in 2008 invited UNEP to carry out an assessment of the pollution in Ogoniland. 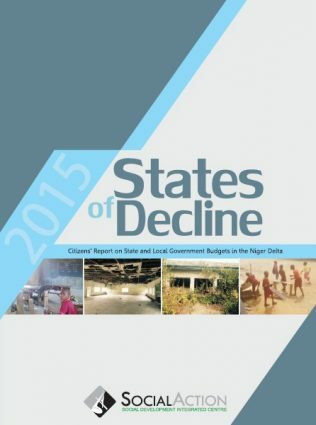 UNEP released its report on Ogoni environment on August 4, 2011. The UNEP Report contained major revelations and recommendations needed to be attended to by clean-up and environmental remediation exercises.